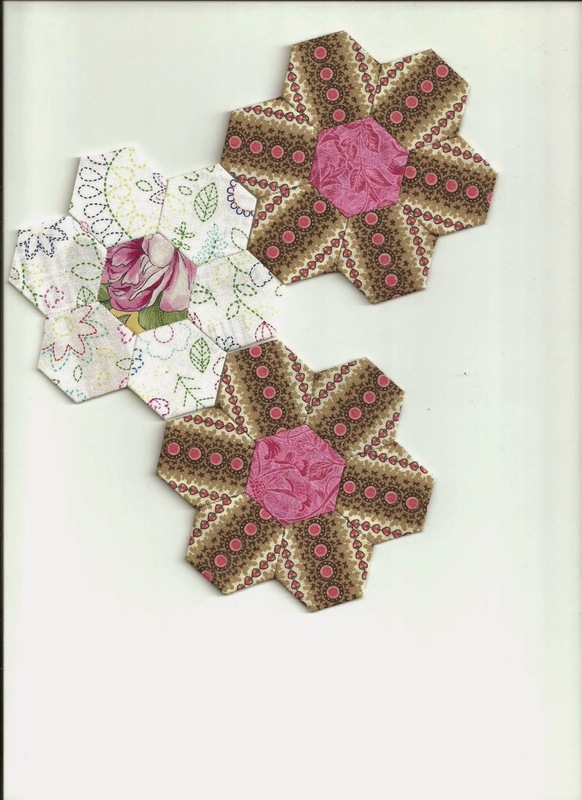 I'm at Mom's still playing nurse, so I didn't think I could post my hexies cuz I forgot my camera - then thought the word SCAN! A white flower and two more fussy cut ones for my golden triangle in the quilt top. I'm linking to Kathy's Slow Sunday Stitching. Lots of goodies there. You are so innovative. More than one way to do things... I didn't know if you were a cat lover. Didn't want to hurt your feelings. Scanned hexies, great. If you scan them a lot of times you'll probably have a huge pile of hexies. Maybe you should try it? Really love your new hexies. Hope Mom is feeling better.....no sewing at my house. Hope Mum is on the mend. Lots of hand sewing here, applique and a UFO Irish chain quilt, stitching that by hand too. Lovely! I like your fussy cutting! Great idea with the scanning, nice! Love the fussy cut hexies. Hope your mom is feeling better soon. I love the white one!!!! !